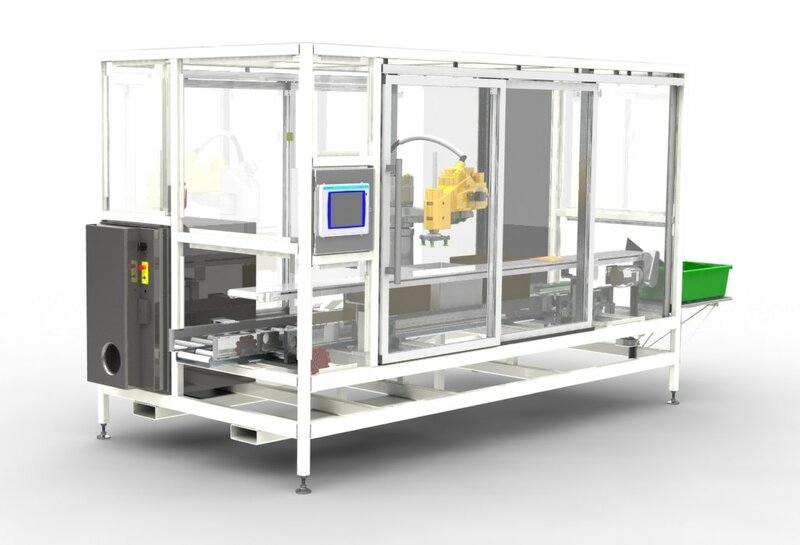 The Robotic Casepacker Cell that is shown above is a custom application for a major food producer. The cell can be constructed out of painted steel, aluminum, and stainless steel. The base design is created to be adjustable to many different products and box sizes. It is capable of 65 picks per minute with a single scara robot or 130 picks per minute with a 2 robot model. Please view the video to the right and see this setup in action. Currently this cell design is running over 99% efficient.